The winds of change are blowing across the country as politicians and the public turn from hostility to a more accepting and welcoming attitude towards cannabis. The removal of political roadblocks is good news for cannabis manufacturers, as the market seems to have reached a tipping point with more and more states legalizing cannabis and the worldwide market expanding. The expansion of cannabis manufacturing is continuing at a rapid pace throughout the United States. We’ve reported on new factories cropping up in Florida, Nevada, and California, and now another new plant is set to open in Cedar Rapids, Iowa, the second cannabis operation to open in that state. As the number of cannabis manufacturing plants increases, we are seeing a steady stream of stories about changes to state laws, new permits being issued to manufacturers, and comments from state officials and local populations about the positive impact the cannabis industry is having on their region. This turnaround is significant because even medical cannabis has taken a hit from politicians who have conflated medical and recreational marijuana while demonizing cannabis to the public. The tone is changing as we hear positive statements from politicians like Cedar Rapids city manager Jeff Pomeranz, who had only praise for the new cannabis plant in his district. “It’s twenty-one new jobs, manufacturing in Cedar Rapids, it will be good for the people of Iowa, and it makes sense for Iowa’s second-largest city to have a plant,” said Pomerantz. The Cedar Rapids plant is being built by Iowa Relieve, a subsidiary of Acreage Holdings, one of the largest medical cannabis manufacturers, with cultivation, processing, and dispensary operations in 12 states. 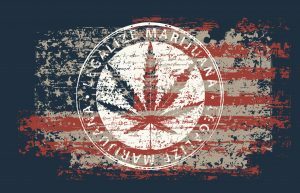 Like MedMen and other major cannabis manufacturers, Acreage Farms is expanding rapidly and has plans to set up operations in New York, Florida, and Maryland this year. The company also has plans to become a publicly traded company in Canada. Another positive sign for the cannabis industry is U.S. Attorney Andrew Lelling issuing a statement that his office essentially will not interfere with the public consumption of recreational cannibis, which became legal in Massachusetts as of July 1. Lelling said his office would limit its enforcement activity to out-of-state sales, sales to minors, and organized crime. As Jason Williams reported, this is big news and signals a huge win for the cannabis industry. “Even staunch opponents like Lelling are bending to the awesome might of this growing juggernaut,” said Wiliams. Hope is seen on the federal level as well. As The New York Times reported, President Trump recently said he would likely support a bill introduced by Senators Cory Gardner and Elizabeth Warren to leave it up to individual states to legalize marijuana. This view is in “stark contrast” to the tough stance Trump and his administration have taken towards cannabis previously, said the report. This new bill comes on the heels of a bill introduced by Senator Charles Schumer in April that would decriminalize cannabis on a federal level. The cannabis industry has been operating under a cloud because of a conflict between federal and state laws. As Inc. reported, if these statutes pass, there could finally be a resolution to the “odd reality” in which selling a joint could land you in jail under federal law and give you a paycheck under state law.